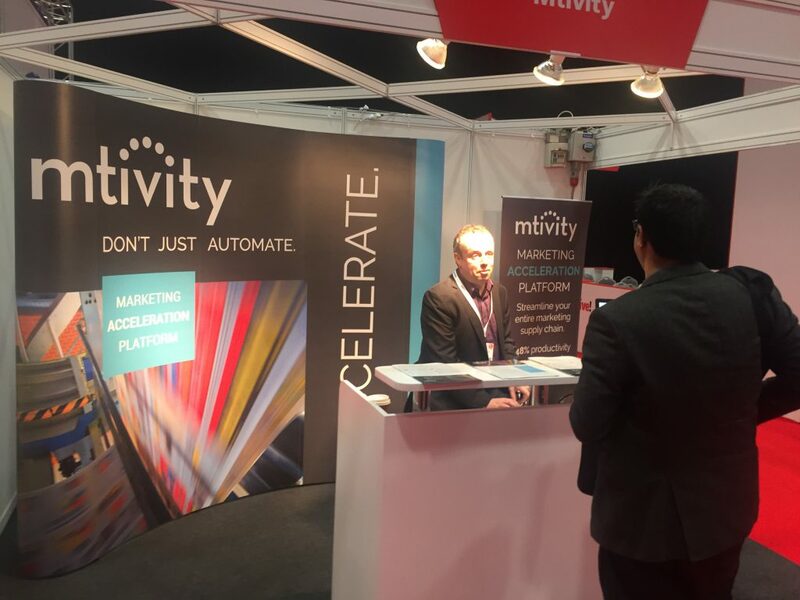 Mtivity is excited to be demonstrating our Marketing Acceleration Platform at PrintWeekLive! this week at the Ricoh Arena in Coventry, UK. Join us in Booth E60 to learn how your organisation can streamline key marketing campaign bottlenecks, and bring campaigns to market faster and at lower cost. This is a great opportunity to meet one on one with Mtivity executives. Our Cofounder and Operations Director, James Mason, will be at our booth to meet with customers, and Mtivity CEO Patrick Kremer is hosting a workshop on Thursday in Theatre 1 on the new generation of revenue share agreements that are helping agencies and clients work together to generate savings and deliver value. We look forward to meeting you there! WHEN: Thursday, March 9th, 10:45 a.m. – 11:15 a.m.